White Nationalism Is the Republican Party’s Meal TicketThis week on Capitol Hill, Republicans tried to distract Americans from their complicity in white nationalism. They ended up drawing attention to it. Will Iowans Dump Disgraced Racist Steve King?It will be ideology dueling with influence among many Western Iowa conservatives. Frank Rich: Trump’s Big Speech Failed at Every LevelEven looking at the 80-minute-plus laundry list from Trump’s point of view, the State of the Union address seems to be a disaster. With Mixed Feelings, Iowa Democrats Look Forward to Their 2020 CaucusesIowa Democrats have suffered two rough election years, but that adversity could help the state produce a Trump-ready nominee in 2020. 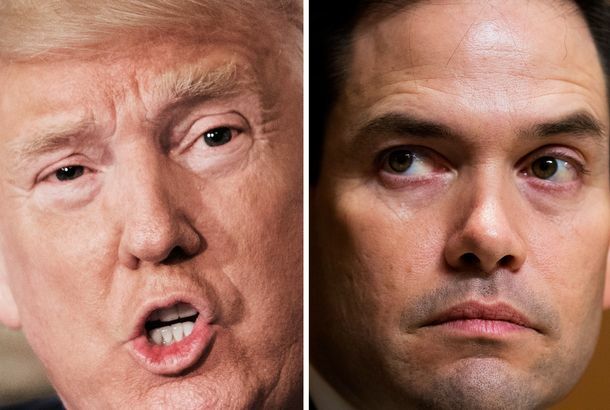 18 House Republicans Nominate Trump for the Nobel Peace PrizeWill a Peace Prize really be awarded to Trump because of his militaristic bluster, before any peace has even been won? Parkland Student Defends Emma Gonzalez After Lawmaker Mocks Her Cuban Flag PatchDavid Hogg and other survivors are standing up for her online. Nobody Seems to Know What Trump’s ‘Big Beautiful Wall’ Would Look LikeYears after Trump started talking about a border wall, congressional negotiators trying to cut a spending deal still aren’t sure how it’s defined. This Is the All-time Worst Use of a Minions GIFWhite supremacists … don’t use Minions GIFs. Making Sense of Trump’s Announcement About DreamersHe left in place a policy protecting young undocumented immigrants while canceling protections for their parents. It’s unclear what’s next. Republican Lawmaker Makes Fun of Latina Constituent’s EnglishShe was supposed to meet with his legislative director to discuss his stance on immigration. Steve King a Cautionary Tale in Iowa Debate Over Adopting RunoffsIn an Iowa legislative debate over getting rid of party conventions to resolve nominations, Steve King’s rise to Congress was an object lesson. Steve King, the Nativist Who Just Comes Right Out and Says ItWhile some on the populist right endlessly profess their belief in the equality of all races, religions, and cultures, King doesn’t bother. Republican Steve King: Keep Harriet Tubman Off the $20 Because All Change Is BadConservative forgets to come up with reason to defend status quo. Rand Paul Flees in Terror From Mexican ImmigrantRand Paul plus Steve King plus Dreamer equals hilarity. Steve King: I Was Right About the CantaloupesWe can’t handle the truth. Steve King Declares Victory Because People Think He’s TerribleThis is what happens when people win? Congressman Steve King Doing His Part to Make Hispanics Hate the GOP ForeverApparently most Hispanic illegals are drug smugglers now. Congressman Accused of Cheating During Debate Just Likes Writing on His HandTime to get a notebook. 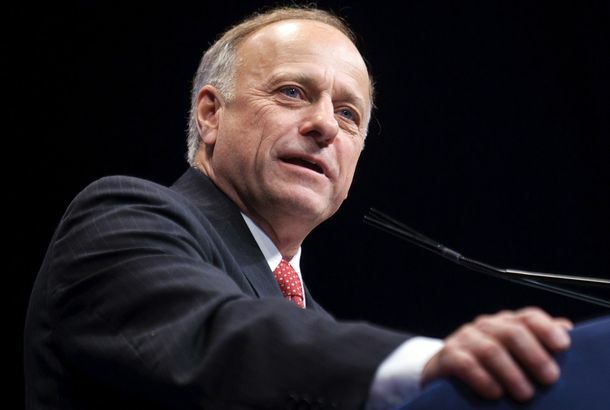 Steve King Says Dumb Thing About PregnancyThe GOP freak show continues. Ridiculous Congressman Steve King Asks Kindergarteners Where They Stand on AbortionThis is something they have to think about. Talk Box: Compromise? Thanks, But No ThanksRepublicans are telling the Democrats where they can store that olive branch, on our regular cable-news roundup.